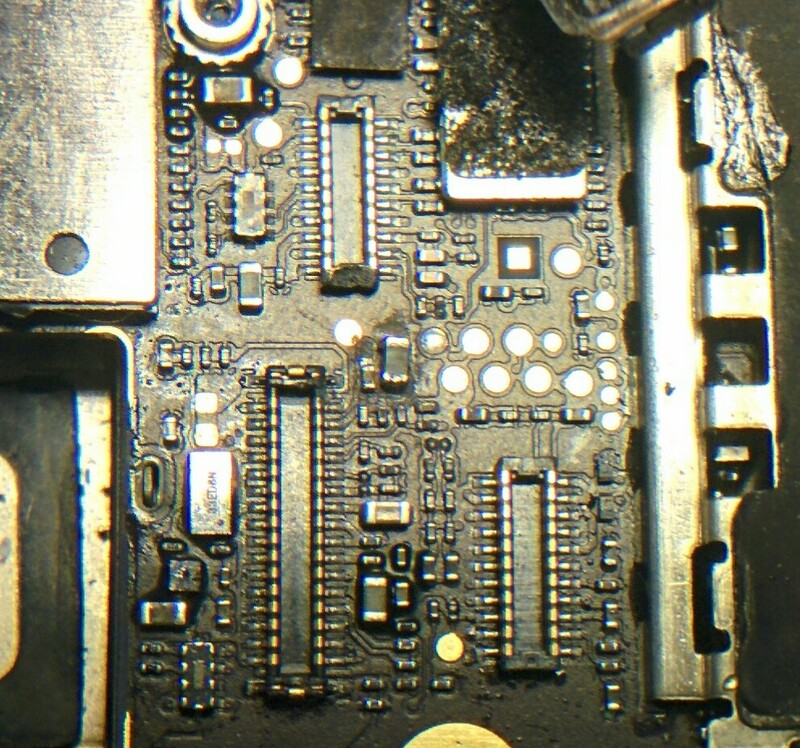 My friend's iPhone 4S Sprint model was recently repaired, and everything worked except the back camera. The phone will turn on normally and take pictures with the front camera, but switching to the back camera will cause it to freeze. Under closer inspection, I saw two missing components (Capacitors or resistors) near the back camera module. If possible, can any of you link me to a schematic or identify the missing components? Great done with your work! I have worked with iPhones for a few years now but I have never tried to microsolder before(but I want to try it)! Because I have the same problem as you have had with the iPhone 4S camera. Did you just jump into it or have you worked with this before? Do you also buy your tools for microsoldering in www.mouser.com? And is it possible for you to help me with the tools I need for this repair? I just jumped into this repair without previous practice, but I already had skills in soldering. If you doubt yourself, I suggest finding an old circuit board you don't mind destroying and desoldering and resoldering components. Guchi, the components you are missing are L36 and C171. L36 is a 240OHM-350MA filter in a 0201 package. Something like this should work. C171 is a 4.7UF 6.3V 20% capacitor on a 402 package. Something like this will work. Both components are part of your main camera circuit. both components are very small (around 1.00mm x 0.50mm) so they do require special tools and great skills to be resoldered. If you have not done any microsoldering before, I would consider getting it done by somebody who has those tools needed. Hope this helps, good luck. Thank you so much, I'm going to order the parts and report back as soon as I attempt the fix! Thank you so much! I ordered the parts and soldered them on and the camera works like new! I used a Weller TC201T with a needle tip for anyone who is wondering. I used a sewing needle to keep the minuscule parts in place while I soldered. In all it took about an hour to do. It's not pretty, but it works! Hi just wondering what website you purchased the parts from and if it was the ones from the link was postage cost a killer?